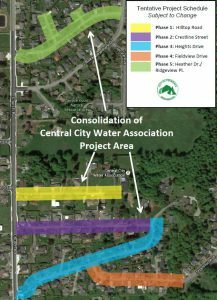 In 2014, the City of Ferndale and Central City Water Association entered into an agreement where the Association’s assets would be transferred to the City to own and maintain as part of its municipal water system. The first phase of integrating the Association’s water system was accomplished as part of the Church Road Improvement Project, when the Association’s existing water distribution main on Church Road was abandoned and the Association’s customers were connected either directly to the City’s water system via new individual service connections (for those association members adjacent to Church Road) or via a main line master meter connection (for those members off Heather, Hilltop, Crestline and Heights). 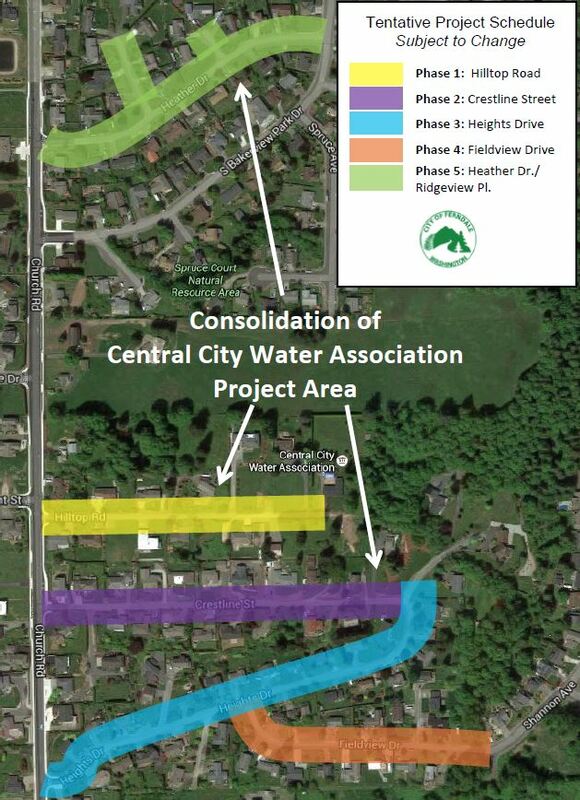 This project is the second and final phase of the integration and will replace and upgrade approximately 6200 linear feet of water main in the Central City Water Association service area to bring the remaining water mains and service connections up to current City of Ferndale standards. 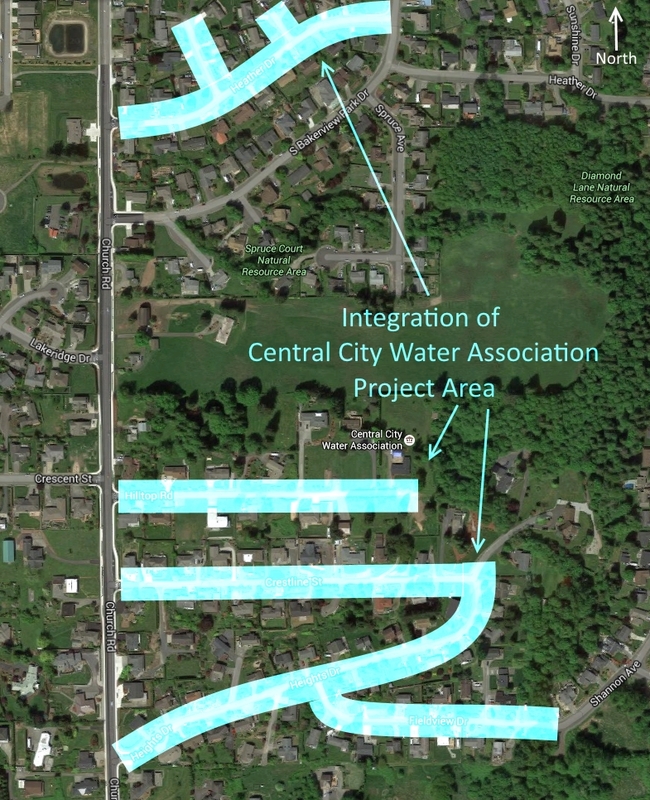 Collaboration between Central City Water Association and the City of Ferndale netted financing for this project via a low-interest loan from the Drinking Water State Revolving Fund. While the total loan amount for this project is $2,269,920.00, half of this loan amount will be forgiven upon successful completion of the project. The City is currently in the design phase of the project, and construction is anticipated to get underway in summer 2016. Currently this is the tentative project schedule however it is subject to revisions as the project continues. Note to bidders: If you download plans and specifications from this website, please email katyradder@cityofferndale.org to be added to the planholder’s list. File Size note: Plans and specifications files are very large. Save a copy to your computer by right clicking the file and choose “Save As”.